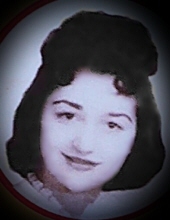 Joanne Frances Dean Bernabeu (Nee Marchese) of New Windsor, passed away Friday, January 25, 2019. Joanne was born in N.Y.C., NY on October 14, 1940 to the late, Salvatore and Frances Marchese. She will be missed by her children, Michael Dean (Diennie), Catherine Dean Lindstrom, Susan Dean Santory (Dan), and Jacqueline Bernabeu (Franco). Took extreme pride in her Grandchildren, Max, Rachelle, William and Christina. Joanne was originally from N.Y.C. and attended Taft High School and Monroe College, she worked as a bookkeeper and statistical typist for Bank Leumi in N.Y.C. Joanne was an avid reader, a lover of music and art and a joy to everyone that she came into contact with. She had a wonderful sense of humor and could make everyone around her laugh and feel loved. She will be deeply missed by her family and friends who were lucky to know her. Visitation will be held on Monday, January 28, 2019 from 5:00 to 7:00 PM at Doulin Newburgh Funeral Home Inc. A Memorial Mass will be held on Tuesday, January 29, 2019 at 11:00 AM in St. Francis Church, Newburgh, NY. To send flowers or a remembrance gift to the family of Joanne Frances Bernabeu, please visit our Tribute Store. "Email Address" would like to share the life celebration of Joanne Frances Bernabeu. Click on the "link" to go to share a favorite memory or leave a condolence message for the family.